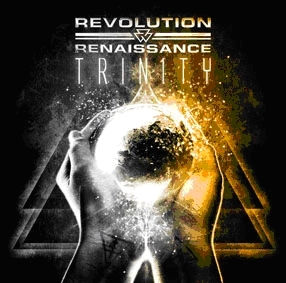 REVOLUTION RENAISSANCE - TRINITY (CD) | Online Shop | Wizard LTD.
"Trinity" is Revolution Renaissance's third full-length ending their album trilogy. Once again, the band revolving around main songwriter and guitar wizard Timo Tolkki (former Stratovarious mastermind) shows how first-class melodic power metal should sound. With catchy choruses, sweeping hooklines, and virtuous soli, tracks such as "Dreamchild" or "Falling to Rise" are brilliantly carried out by perfectly balancing ambition and appeal. "Trinity's" title track is the album's core, and while it last well over 10 minutes, each second is able to enthrall the listener beyond all expectations. Revolution Renaissance delivers an album able to exhilarate melodic power metal fans everywhere.